How does a silicone injection port help? When it comes to growing magic mushrooms at home, contamination is always a risk any grower should watch out for. If you’re not careful, a stray microbe can destroy an entire grow causing great loss of investment. 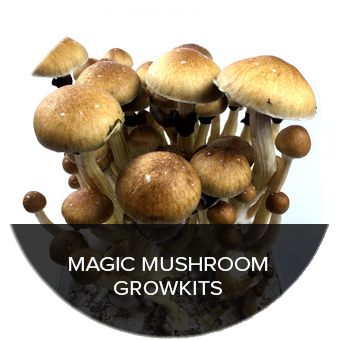 By adding a silicone port and air exchange to your growing jar or bag, you will be able to protect your growing magic mushrooms from the dangers of contamination. Nothing is more frustrating than seeing all your hard work and resources go to waste because of a momentary lapse in sterility. Novice magic mushroom growers are all too familiar with this feeling of loss. Even when you go through the rituals to make a sterile workplace with sterilized equipment, things still have a chance of going downhill if you’re not careful. One of the ways to maintain sterility is by having an inoculation jar with a special, modified lid. This modified lid allows growers to keep contaminants away from the growing medium contained inside inoculation jars. The stage when the mycelium is taking hold of the substrate is the most vulnerable stage in the whole process. A silicone injection port ensures that the environment where the mycelium is taking hold remains free from any microbes that may contaminate and compromise the grow process. An air exchange system allows the mycelium jars to breathe. Clean your jar and lid with a mild antibacterial soap to reduce its microbe count. This will still have to undergo sterilization before being used later in the grow process. 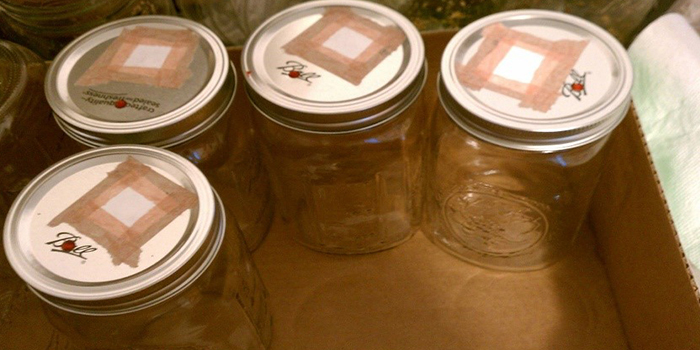 Drill a couple of holes into the jar lid. One towards the center and another one towards the side. One of the holes will serve as the injection port and the other will serve as the air exchange port. Cut square pieces of paper which are large enough to cover the holes. Choose which hole will serve as the injection port. Once you’ve decided, take the silicone sealant and create an outline around the topside and underside of the chosen hole. Once you’ve made the outline, fill in the rest of the circle on the topside using the sealant. The pieces of paper covering the holes should prevent the silicone from falling through the other side and the outline should help hold it all together. Repeat the same procedure on the underside of the lid. Take the other paper squares, place them on each side of the lid, on the silicone. Press each side downwards with just enough force to flatten it. Set the lid aside to allow the silicone dry undisturbed. Make sure the silicone isn’t touching anything else other than paper. Otherwise, it might stick to the surface while drying. Once dry, peel off the layers of paper carefully. You will end up with a nice, flat, silicone injection port. This port will seal itself after use and nothing but the syringe will go through it. Once your lids have a safe port through which you can inject the spores, it’s time to make a simple air exchange port. Atmospheric air is filled with moisture and pollutants. The principle behind the air exchange port is to remove impurities from the air before they circulate into the jars. This port will allow the air to breathe without contaminating the growing mycelium. The lid should already have the second hole drilled into it back from when you made the silicone injection port. This second hole will serve as the air exchange port. Take a strip of the aquarium fiber cotton filter and roll it up to fill up the hole entirely. Fold it in half and cover the top with more material. This will create a smooth, uncompromised layer with which you can work. Cut the material you’re left with in your small roll. From the bottom of the lid, work the covered centerfold through to the top so that it pokes about 1cm from the top. This is tricky but you can use pliers to pull it through. Make sure it’s tight enough so that moving air doesn’t easily get through. Any loose material should be cut away from the bottom. You have jut created the air exchange port. This layer will catch dust or any particles which can contaminate and harm your growing mycelium. If these steps seem confusing to you, simply tape several layers of gauze on top of the lids. And there you have it. You now have a modified lid which has an injection port for sterile inoculations in the future and an air filter which will prevent any pesky contaminants from compromising your grow. These same procedures can be applied to inoculation bags as an added security measure. The lack of sterility and air exchange are among the reasons why magic mushrooms grows become unsuccessful. The microscopic world is in a state of constant battle and in order for your psychedelic mycelium to be in full control of the substrate, you should eliminate as many competitors as possible. The simple methods here may need you to put in extra effort but preventive measures will mean you won’t have bugs, molds, or any micro-intruders ruining your batch of psychedelic fungi. 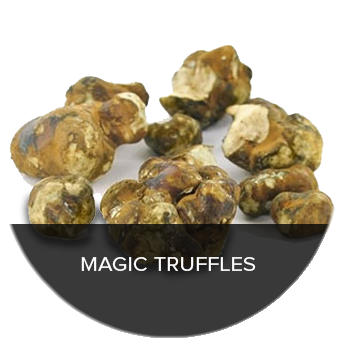 If you don’t think you have the ability, time, and resources to grow your own magic mushrooms, you can still grow your own batch of magic truffles using magic truffle grow kits. 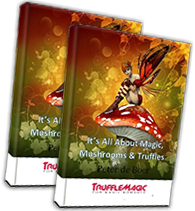 Magic truffle grow kits from Truffle Magic are pre-packaged and filled with mycelium guaranteed to sprout magic truffles for your psychedelic enjoyment in a matter of days. 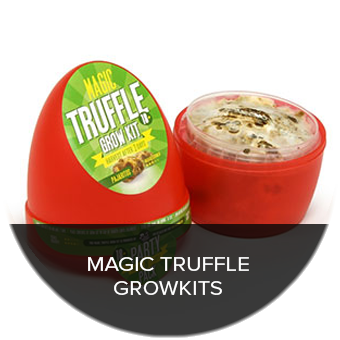 Order magic truffle grow kits online today!